♥ Ads generated by Wordpress are not endorsed by this site. ♥ Whenever provided, reading times do not include reference materials. Thank you to my readers in the U.S. and around the world! 1. Excerpt can only be 25 (twenty five) words or less. 2. 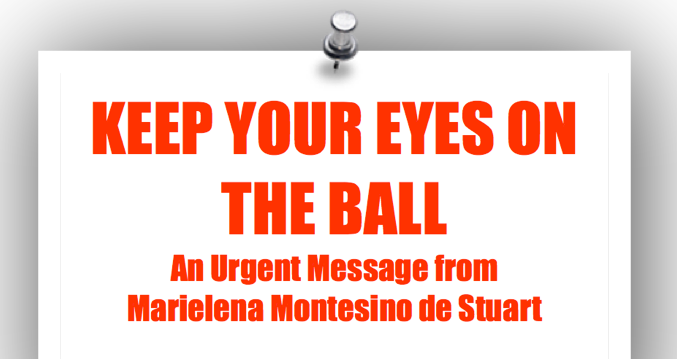 The name of the author, Marielena Montesino de Stuart, must appear directly above the excerpt. 3. You must not alter or insert commentaries in the excerpt. 4. The excerpt must include the link to Marielena Montesino de Stuart’s original article. 5. The excerpt MUST NOT be presented to the reader as an endorsement of the blog / website where the excerpt appears. Thank you for being a loyal reader and for your attention to the aforementioned requirements, pursuant to U.S. and international copyright laws. Is Spain ready for ISIS? YES! Are you? Copyright © Marielena Montesino de Stuart. All rights reserved. The English version of the lyrics to the Christmas carol “Angels We Have Heard on High” was written in 1862 by James Chadwick, Roman Catholic Bishop of Hexham and Newcastle, England. The original music was a French song titled, Les Anges Dans Nos Campagnes. Bishop Chadwick’s lyrics are not an exact translation from the French. This beautiful song recounts the birth of Our Lord Jesus Christ as it is depicted in the Gospel of St. Luke. Why your joyous strains prolong? What the gladsome tidings be? Which inspire your heavenly songs? Christ the Lord, the newborn King. With us sing our Saviour’s birth. Bergers, pour qui cette fête? Quel est l’objet de tous ces chants? Et de nos cœurs et de nos voix! Merry Christmas and Happy New 2018! On this special day, I wish peace and many blessings to my readers in the United States and around the world. My heartfelt gratitude is also extended to all those who visit this website– and for the wonderful messages that I receive. 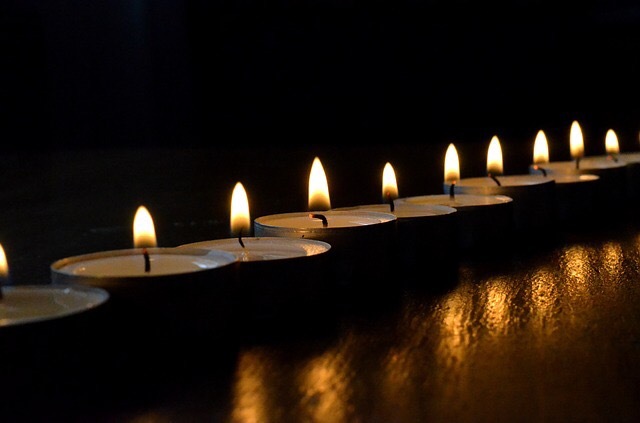 As always, I continue to pray for my readers and their families in war-torn regions and newly-freed regions in the Middle East. I am humbled and thankful for their readership, in spite of the great obstacles created by violence and war. Please pray for the victims of abortion and communism– who today do not enjoy a place at the Thanksgiving table in these United States of America. This unknown soldier did not die– nor is this soldier standing guard for a globalist (socialist) cause. As such, I am grateful for the respect and support that President Donald J. Trump has shown for our veterans, as he fights to undo the damage caused by years of socialist policies. I have had the privilege of visiting the tomb of the Unknown Soldier at Arlington Cemetery several times. During each visit the same thought crosses my mind: that the brave soldiers who gave up their lives, and the courageous veterans who have served to keep our nation free and safe, did not do so for a socialist cause. May God bless and protect our veterans and their families– and May God bless the United States of America. Someone has to say the truth… (please share it). Arlington Cemetery, Veterans Day 2017, President Donald J. Trump, Freedom, Current Events, United States of America, News, Patriotism, Socialism, Marielena Montesino de Stuart. Puigdemont, ¿te esperan tus amigos comunistas en Cuba? (ha quienes tu exgobierno Catalán apoyó)… para que TUMBES CAÑA! Puigdemont, are your Communist friends in Cuba, whom your former government supported, waiting for you to cut sugar cane? Read about Catalonia’s former autonomous government under Puigdemont and its love affair with Cuba. 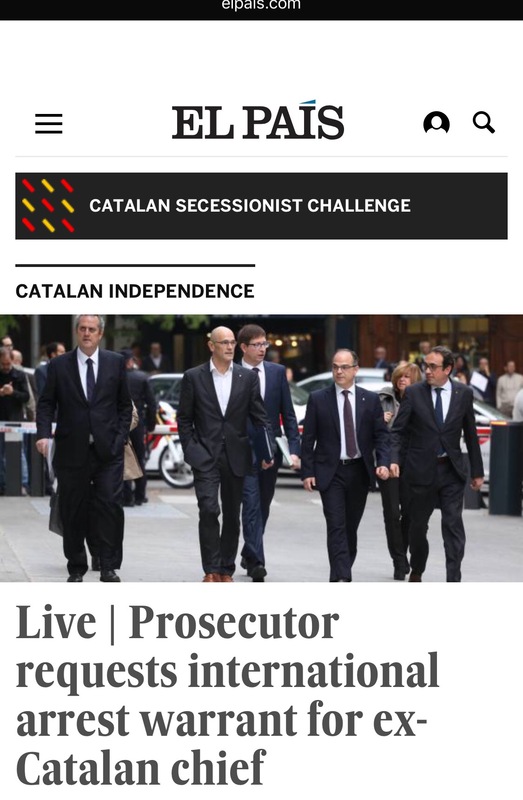 Image: Order for search, capture and arrest of Carles Puigdemont. “National and international” search for arrest of fugitive Catalan “leader” Puigdemont wanted in Spain. HINT, HINT Catalan ex gov’t LOVES Cuba! News, Marielena Montesino de Stuart, Cuba, communism, International, Spain, Catalonia, Carles Puigdemont, Noticias, Current Events. Don’t be afraid to use the word COMMUNIST! You have my permission to use the word COMMUNIST. You see, there are certain “intellectuals” and activists who will pounce on you for using the word COMMUNIST to describe the chaos (moral, social and economic) that has been created by globalist “big thinkers” of the socialist persuasion. These self-professed big thinkers will tell you that “communism is dead”— and that your brain stopped working after the 1980’s for using the “C word.” In fact, if you’re reading this and you are a Millenial, you have definitely been mentally bombarded by the socialist elite with lies about communism being dead. Communism, in fact, is alive and thriving worldwide— it’s just operating under different disguises, and that’s what makes it so dangerous. International Communists are using many different means of financing their agenda, including, but not limited to, taxpayer money maneuvered through NGOs (non-governmental organizations). One current example is the Catalan “independence” movement, which is controlled by communist groups who claim they want a “free” and open society that is “feminist” and welcomes “all”— while they indoctrinate children in Catalonia with socialist activism— using guess what… taxpayer money! “El adoctrinamiento en la escuela en Cataluña es tan eficaz como la propaganda nazi.” Translation: The indoctrination in Catalan schools is as efficient as Nazi propaganda. The truth is that Catalonia has enjoyed an extremely free, feminist and open society, which is why it led Europe with the most aggressive law in 1937 legalizing abortion during the first 12 weeks of pregnancy! Fortunately, this was outlawed by the Franco government. And please, don’t waste a minute writing to me to tell me that I’m a “franquista”— based on my statement of a historical fact, which saved millions of Spanish citizens from being murdered through abortion. If you write to me to tell me that I’m a “franquista”– then you too are a COMMUNIST! And yes, I know what I’m talking about. I’m a survivor of Communism in Cuba– and grew up in a family of proud Spaniards. Today, Catalonia leads Spain with the greatest number of abortions (followed by Madrid and Andalucía). Even Catholic hospitals in Catalonia have performed abortions. Catalonia also leads Spain in homosexual “marriages” and Islamic centers, due to the “freedom” granted to them through socialist laws established after 1975, when Franco died. The same indoctrination described above has been taking place in the United States for decades. And you wonder why you’re not allowed to use the word COMMUNIST.